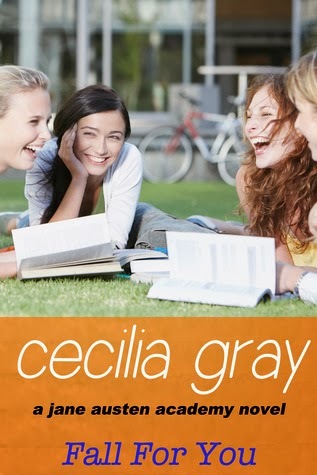 Definitely, Maybe in Love is a fun example of what’s good about New Adult books. It features intelligent college students with tons of personality, and they’re all figuring out what kinds of people they want to be when they grow up. There’s funny stuff, chemistry between characters that jumps off the page and will forever change your thoughts on cranberry sauce, and plenty of adventure. Spring, the main character, is a total green-living zealot who needs some insight from the opposition to take her thesis to the next level. Enter Henry, the opposition she desperately needs wrapped up in a super hot package, and the fireworks and debates take off from there. I enjoyed Spring as a character, though as a fellow vegetarian I was a little annoyed by some of her extremely stereotypical beliefs. But, it kind of added to her character and how she needed Henry in her life to disagree with her and make her grow, so it was a good place for her to start. There were a whole host of relateable, believable characters along with Spring and Henry, and I really enjoyed spending time with them as I read. I could see myself hanging out with them in college. It’s definitely one that would appeal to upper high school and college students, and for those adults like me who like to pretend we’re still young! 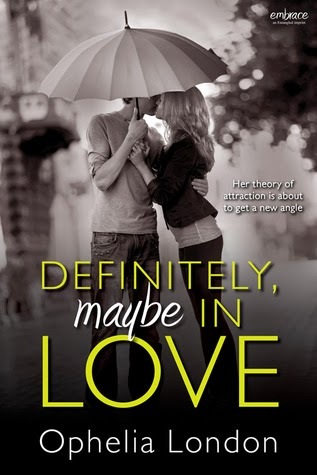 You can find Defintely, Maybe in Love at Amazon and Barnes and Noble. Read more about it on Goodreads, too. Enjoy! It’s the Sesame Street Hungry Games, Catching Fur. I laughed out loud. A lot. I am definitely not a car girl. I don’t know how my car works – nor do I want to know as long as it works. This book didn’t change that at all, but it DID give me a strange desire to go drive my car really fast. So maybe I shouldn’t recommend it to teenagers. Hahaha. I am definitely, though, a fan of a well written chemistry-filled romance, which this is. And both characters do a lot of growing up and learning how to deal with friends and family, which I’m also a fan of. When I read this, I hadn’t read any of the previous Pushing the Limits series, though I think I might go back and do that. That being said, I don’t think I would have even realized I was reading the third book if Goodreads hadn’t told me. It didn’t take too long to get into the story, and I didn’t feel like I was missing anything that had already happened. Rachel, a car girl masquerading as a designer label fashionista for the sake of her emotionally unstable mom and clueless dad and brothers, crosses paths with Isaiah. Isaiah is a foster care system kid and has been since his mom went to prison, and the system hasn’t really been kind to him. At all, really. So at age 17, Isaiah has moved out of his foster home and is living in appalling conditions, on the verge of having to resort to criminal behavior to support himself. The two are instantly attracted to each other and find a strength with each other to face the hardships they both have in their lives. They’re really good together. I will admit that I spent a lot of time wanting to reach into the pages of the book and strangle Rachel for not being more assertive in her family, and Isaiah for a few reasons, but ultimately the connection and love story between the two of them just drew me in and I couldn’t go to bed until I’d finished the book. And I’m pretty sure I had dreams of driving very fast. I almost didn’t put it on here as a recommendation because I had some issues with language and content here. 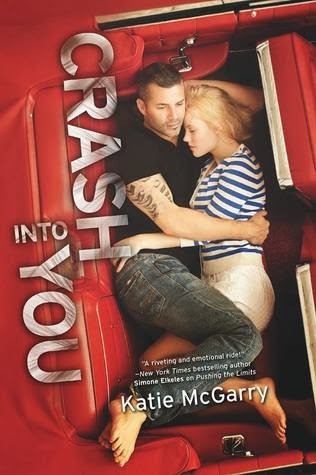 I believe McGarry included a lot of the language and rougher content to really give us a taste of Isaiah’s world, and it was effective, but it was definitely a little too much for me. I’d say you need to be upper high school or older for this one. I waited a long time to read this. 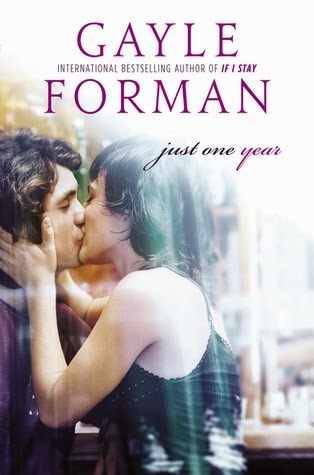 In Forman’s Just One Day, we met Allyson – a fresh high school graduate on a European adventure with her best friend. The student travel company didn’t take the group through Paris, much to Allyson’s chagrin, so when a couple of chance encounters with a seemingly professional traveler (and all-around hot guy), Willem, lead to a chance to go to Paris she can’t pass it up. And that day, even though it was just one day, was magical. But when an accident happens that separates the two before they say their proper goodbyes, Allyson spends a long time looking for Willem again. It’s really, really good. It made me want to go to Paris – and all around Europe in general – even more than I already did. Now, since the story of Just One Day focused on Allyson, a lot of questions were left unanswered about Willem… and he’s really a fascinating character. In Just One Year, we get to see his side of the whole story. Why he was travelling aimlessly, how he felt about Allyson (though he only knew her as Lulu). Where he goes to look for her. How he restores a broken relationship with his mother. How he grows up and becomes someone ready for Lulu if he finds her. I really liked this, but I do wish there’d been more of Willem and Lulu together. I mean, because of the ending of Just One Day, we go into this one sort of knowing how it’ll end… or at least that they WILL, eventually, be reunited. But I really was hoping they’d find each other like halfway through so we could spend time with them together. I want to see them succeed and be in love and all. That being said, though, Just One Year is beautifully written. It takes a character that was unforgettable but questionable in Just One Day and makes me absolutely adore the person he is – what he’s gone through in the past, what he goes through during the course of the book, and what he sets himself up for in a future with Allyson. Plus, we get to travel to all sorts of beautiful places with him, which I loved. Forman does a great job of making every new location jump off the page. Overall, I really like this set of books. I do hope Forman has plans for a third so we can really see Willem and Allyson together… or even a companion novel where they show up as minor characters. They become people you care about and want to see again, which says a lot about how well Forman writes them. Check it out from your local book store or online. You can find it here at Amazon. Cecilia Gray has done an incredible job of taking all our classic Austen favorites and turning them into modern stories… all set at an amazing boarding school, Jane Austen Academy. Really, the school sounds amazing. If I could travel back to my high school years and if the Jane Austen Academy were a real place, I’d beg my mom to send me there. Aside from the sweet Austen romances, which of course require a cast of interesting girls and swoony boys, I appreciate that Gray kept the complete appropriateness of Austen’s works while updating the stories and setting them on a current boarding school campus. She doesn’t change the morality to make them scandalous. I like that. I would feel completely comfortable with having these in a middle school classroom, and I know their appeal would go up into college and adult women as well. Gray also focuses on the friendships between the girls equally as much as the guys are involved, so there’s a lot here that doesn’t depend on the romance. All of the characters are well rounded and intelligent, and I’m having fun working my way through the series and learning more about each character as I go. It’s great that all of the books are happening at the same school so we see characters again in future books. Find Fall For You, book 1 in the series, here on Amazon FOR ONLY $2.99 (kindle edition)! In Fall For You, you’ll meet Lizzie and Dante as you get acquainted with the whole crew of Jane Austen Academy characters in a beautifully done retelling of Austen’s Sense and Sensibility! The rest of the books that have been already released are also available on Amazon for $2.99 for kindle. You’ll finish one and need to keep on going!